Today, the first stage of the “Airborne platoon” international contest has started near Novorossiysk. 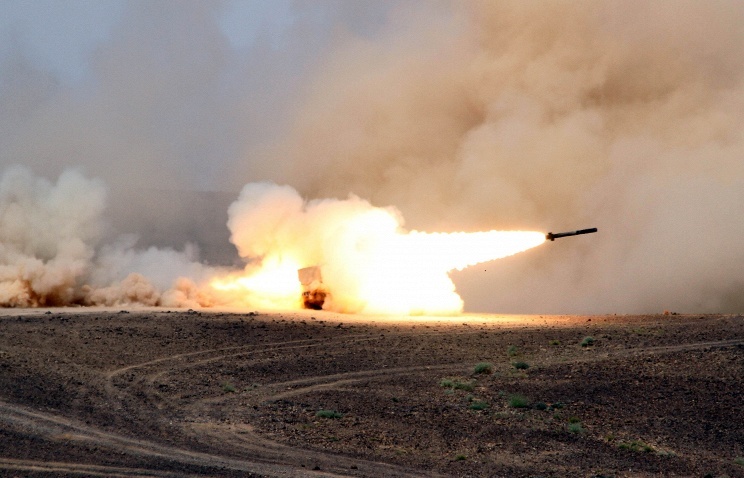 Teams of Russia, Kazakhstan, China, Belarus, Iran, Egypt, Venezuela, and team of the Voluntary Association for Assistance to Army, Air Force and Navy (DOSAAF) are participating in the competition. The servicemen performed parachute jumping from Mi-8 helicopters and conducted 10-km marching. According to Colonel Gennady Yagodkin, assistance of Airborne Commander responsible for the physical training, teams of China, Kazakhstan and Russia took the first three places. He also added that the Russian servicemen have beaten the record. They have passed the 10-km distance in 46 minutes and 19 seconds. Crews of JH-7A bombers of China, and Mi-8 from Kazakhstan and Belarus arrived in Ryazan in order to participate in the “Aviadarts” international contest. Military-transport aviation has already delivered engineering and technical personnel as well as maintenance equipment in order to service the hardware. In the nearest future, pilots will also arrive in Ryazan from Kazakhstan and Belarus. About 50 crews from different will compete for the title of the best. Representatives from foreign countries will operate their own aircraft. The contest is held on July 31 – August 10. On June 8, the Russian Defence Minister General of the Army Sergei Shoigu met the Minister of Defence of the Republic of Kazakhstan Imangali Tasmagambetov in Astana. In the course of the talks, General of the Army Sergei Shoigu and Imangali Tasmagambetov shared opinions on the problems of international and regional security as well as on the implementation of joint projects in the military sphere. In particular, they discussed the issues of military and technical cooperation, optimization of territories of testing ranges held on lease by the Russian Defence Ministry in Kazakhstan, training of Kazakh servicemen in the Russian military educational institutions as well as the transit of Russian military cargoes through the territory of Kazakhstan. The ministers also talked about the holding of contests of the International Army Games at the ranges of the Armed Forces of the Republic of Kazakhstan. In the next two days, Russian Defense Minister Sergei Shoigu will visit Kazakhstan and Turkmenistan to discuss the regional security issues, including activities of extremists and instability in Afghanistan, local media reported Tuesday. On Tuesday, Shoigu is expected to discuss struggle with terrorism, as well as deadly Sunday attacks on a military unit and two arms shops in the northern Kazakhstan’s city of Aktobe, the Russian Kommersant newspaper reported, citing sources in Russian Defense Ministry. The newspaper added that Shoigu and his Kazakh counterpart Imangali Tasmagambetov are expected to discuss cooperation within the Collective Security Treaty Organization (CSTO). According to the newspaper, on Wednesday Shoigu will arrive in Turkmenistan and will discuss with Turkmen Defense Minister Yaylym Berdiev a turmoil in Afghanistan, as well as struggle against the Daesh militant group, outlawed in Russia. The CSTO is an intergovernmental military alliance of former Soviet states, which comprises Armenia, Belarus, Kazakhstan, Kyrgyzstan, Russia, and Tajikistan. Its key objective is to fight against “international terrorism and other nontraditional threats to security,” according to its website. ASTANA, June 1. /TASS/. The first deliveries of Russia’s combat helicopters Mil Mi-35M (NATO reporting name: Hind-E) to Kazakhstan are scheduled for the end of the current year, Alexander Shcherbinin, deputy chief executive for business development at Russian Helicopters holding, the helicopter manufacturer, said on Wednesday. “The first deliveries of this helicopter (Mi-35M) through the Rosoboronexport (Russia’s arms exporter) is scheduled for the end of this year”, Shcherbinin said, without specifying the details. The Russian Helicopters deputy head said that Kazakhstan currently uses the Mi-24 helicopters, on the basis of which the Mi-35M was developed. 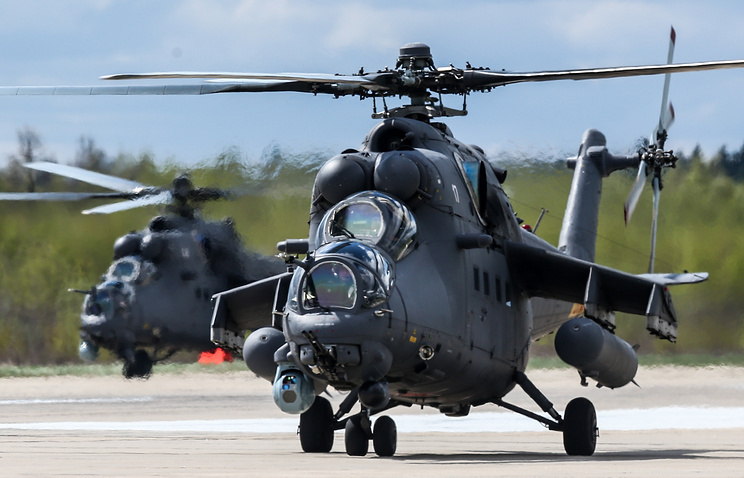 According to previous reports, Russia will present its Mi-35M helicopter at the KADEX-2016 international military equipment exhibition that will be held in the Kazakh capital Astana on June 2-5. The Mi-35M helicopter is designed to destroy hostile armored vehicles, provide close air support, land troops, transport cargo and evacuate injured persons. The Mi-35M type helicopters are currently in service with the armed forces of Russia, Azerbaijan, Brazil and other countries. ASTANA, January 26. /TASS/. Kazakhstan will supply military equipment and weapons to Jordan, the country’s Defense Ministry press service said on Tuesday Commenting on the results of the Kazakhstani defense minister’s visit to Jordan, the press service said: “The important result of the visit was signing the agreement between the governments of Kazakhstan and Hashimite Kingdom of Jordan on military and military-technical cooperation.” “The signed agreements will boost cooperation between the armed forces and defense industries of the two countries,” the defense ministry added. In particular, “an agreement was reached on purchasing Kazakhstani Arlan armored vehicles” assembled at the local plant of the Kazakhstan Paramount Engineering company that opened in Astana last year. The armored vehicle designed for remote firing and observation in all weather and lighting conditions, is capable of withstanding 50 kg of explosives in TNT equivalent from the side or 8kg and 14kg correspondingly under the vehicle and under wheels. “Negotiations were also held on supplying other defense products – optical night vision and aiming devices, NSVS machine guns of 12.7mm caliber and weapon stations, three coordinated radars, communications systems and others,” the defense ministry said. “Despite the large distance between the two countries, great opportunities exist for development in economic and military-political cooperation,” the press service noted. Jordan also agreed to take part in the 4th International Exhibition of Weapons Systems and Military Equipment KADEX-2016 that will be held in the Kazakhstani capital on June 2-5.